Almost 85,000 holidaymakers have been flown home as part of the large-scale repatriation scheme in the wake of Monarch's collapse. The British airline, which went into administration at the beginning of October, saw 110,000 travellers left without a return flight home. There have been 567 "rescue" flights facilitated by the Civil Aviation Authority (CAA), bringing back 83,875 passengers. A spokesman for the regulator told the Press Association the operation is expected to cost "in the region of £60 million". CAA's chief executive, Andrew Haines, said: "This has been a phenomenal challenge and one that has required the cooperation and support of many businesses, government departments and individuals." Anyone planning a holiday can take out comprehensive travel insurance, for added assurance that you will not be left out of pocket in the event your flight is cancelled. Initial estimates suggested almost 110,000 passengers had been left stranded. A CAA spokesman says those estimates are higher than the final total because they reflected "what was scheduled to happen". He says some holidaymakers did not turn up for their return flight, making their own alternative arrangements. The regulators says 1,000 passengers protected under Atol - Britain's holiday financial protection scheme -- have been contacted in a bid to "arrange alternative flights to get them home when their trip has ended". The last of the flights chartered by the CAA landed at Luton Airport, shortly after 3.30am on Monday, October 16. The flight was travelling from Tel Aviv in Israel, and had been carrying 122 passengers. KPMG, administrators for the carrier, says there have been 1,858 redundancies from a total of 2,100 people employed after the firm's collapse. 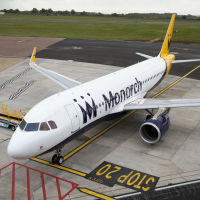 Reflecting on the airline going bust, Mr Haines added: "It was a very sad day when Monarch went into administration and our thoughts remain with all the Monarch employees who have lost their jobs."